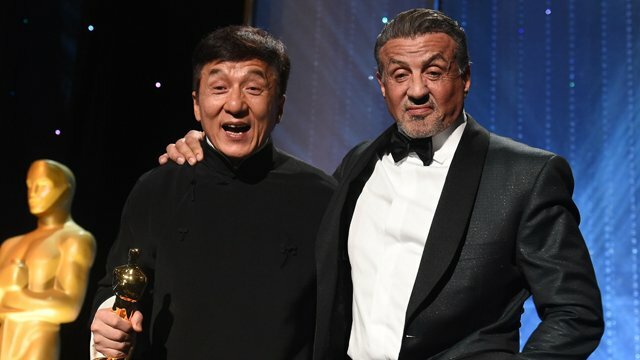 Fans of action movies are in for a real treat today, as Deadline is reporting that Jackie Chan and Sylvester Stallone, both icons of the genre, are set to team up for for Ex-Baghdad, an upcoming thriller produced by Chan’s SR Media company. With a budget of $80 million, it’s looking to be one of the most costly Chinese productions to date and though both actors are now signed on, no release timetable or shooting schedule has been revealed just yet. From what we understand, though, the film will revolve around a “Chinese-run oil refinery located in Mosul, Iraq that gets attacked by terrorists.” The owners of the refinery then call in Chan – who plays a private security contractor – to rescue the workers being held hostage. However, he can’t do it alone, and so he recruits Stallone’s ex-marine, leading to the two teaming up to save the day. Behind the camera will be Act of Valor helmer Scott Waugh, who’s a longtime stunt man and definitely knows his way around an action flick. His involvement combined with the prospect of seeing Chan and Stallone sharing the screen together and taking down bad guys should be more than enough to get fans of the genre into theatres on release day. As such, we expect the project to find US distribution in no time. After all, Stallone and Chan are two of the biggest action movie stars of all-time, so to see them teaming up in a big budget blockbuster like this should be a real treat, even if the plot does sound somewhat generic. Not only that, but with both actors now locked in, you can bet that the supporting cast will fill out quite nicely as well. Until we learn more, tell us, are you excited to check out Ex-Baghdad? Sound off below with your thoughts!